The Company’s objective is to generate a positive return over the medium to long-term, regardless of the movements of the broader share market, from an actively managed portfolio of small to mid cap ASX listed investments and provide shareholders with a consistent stream of dividends. Stocks selected within the portfolio are generally outside the Top 100 and will typically have a connection to Western Australia whether it be through their assets, operations and/or management. The Company’s portfolio is managed by Westoz Funds Management Pty Ltd (AFSL 285607), a 100% owned subsidiary of Euroz Limited. Euroz Limited is invested alongside shareholders via a 27% shareholding. The Company intends on paying a consistent stream of dividends to investors. Dividend payments will be set after considering our level of realised net profits after tax, retained earnings and availability of franking credits. 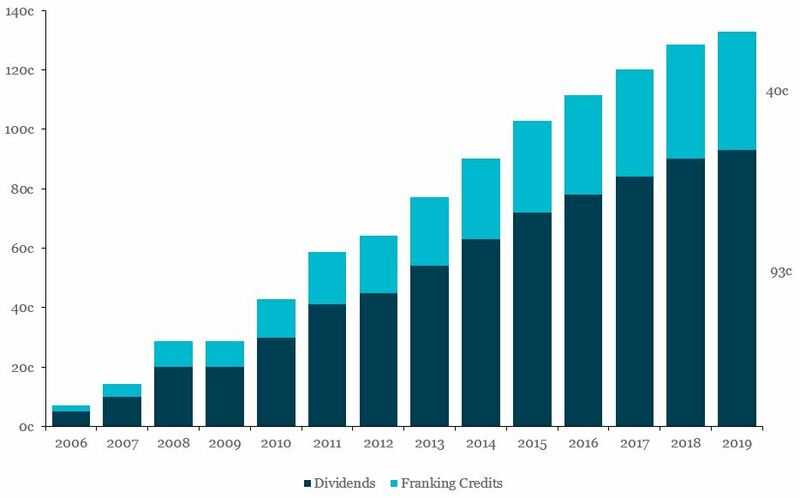 To date, WIC has generated over $162m in dividends and franking credits for shareholders. WIC’s investment portfolio has produced a gross investment return of 12.8%* per annum since inception. * Portfolio performance represents the return on the company’s gross investment portfolio before all fees, expenses and taxes. Past performance is not a reliable indicator of future performance. As an ASX listed company, our company announcements are available on that platform. Annual reports for Westoz Investment Company Limited are available since inception in 2005. Investors wishing to gain exposure to our investments can purchase securities in Westoz Investment Company through your investment platform, stockbroker or affiliated advisor. Ordinary shares trade on the ASX under the code WIC. The Company also has options on issue under code WICOC.ASX. Details of the Aug 2019 $1.06 options are available here. If you require further assistance or cannot locate the document you are after, our share registry, Computershare Investor Services Pty Ltd (phone: 1300 749 533) may be of assistance. Alternatively, you can contact us directly at admin@westozfunds.com.au or on 08 9321 7877. If you require further assistance or cannot locate the document you are after, our share registry, Computershare Investor Services Pty Ltd (phone: 1300 749 533) may be of assistance. Alternatively, you can contact us directly at admin@westozfunds.com.au or on 08 9321 7877. Mr Hughes commenced as a Director of the Company in 2005 and assumed the role of Non-Executive Chairman in October 2013. Mr Hughes holds a Graduate Diploma in Applied Finance and Investment from the Securities Institute of Australia. He was recognised as an affiliate of ASX in December 2000 and was admitted in May 2004 as a Practitioner Member (Master Stockbroking) of the Stockbrokers and Financial Advisors Association. Mr Budge is an Independent Non-Executive Director of the Company and serves on the Company’s Audit Committee. He has held this role since April 2005. He is also a member of the Board of Advice for AON Risk Management Services Australia. 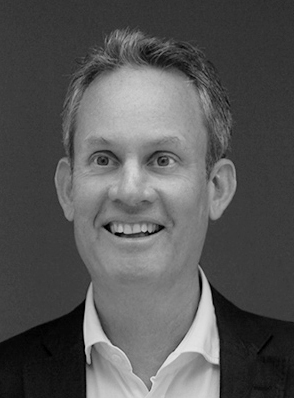 Mr Budge holds a Bachelor of Economics from Monash University and is a Graduate of the Advanced Management Program from Harvard Business School. He is also a Graduate and Fellow of the Australian Institute of Company Directors, a Senior Fellow of the Financial Services Institute of Australia and a Fellow of the Australian Institute of Management. Mr Joyner has been involved in the West Australian financial services industry since 1985 and brings a broad range of experience to Westoz. Mr Joyner established Keysbrook Financial Services in 1997, one of Western Australia’s first independently owned financial services firms. In 2008 Keysbrook became a founding firm of what was to become the Shadforth Financial Group (“SFG”). SFG subsequently listed on the ASX and was purchased by IOOF in 2014. More recently Mr Joyner established management consulting firm Aberfoyle Partners, assisting businesses across a range of industries but predominantly those associated with the financial services industry. 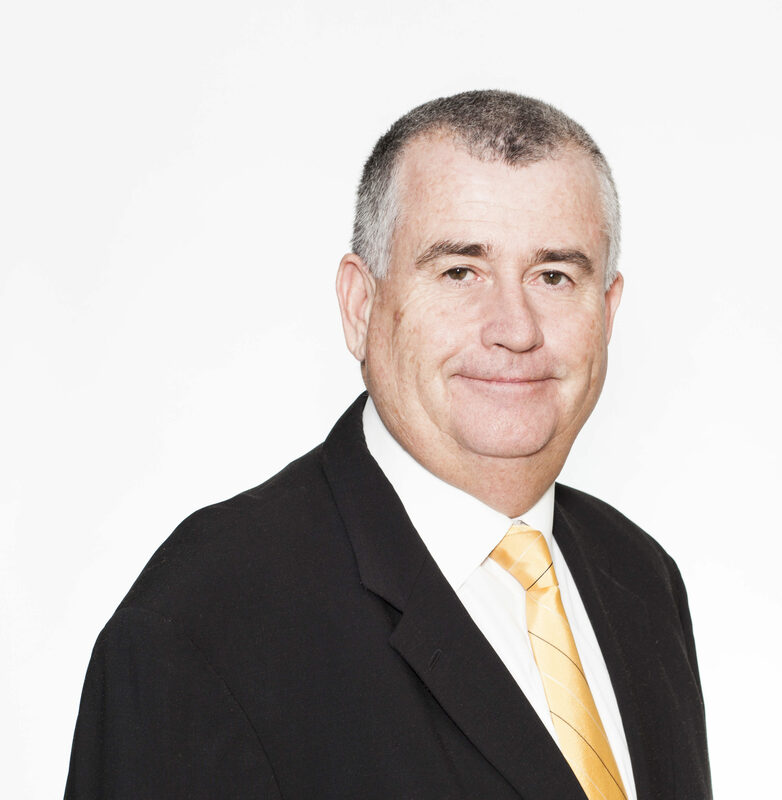 Mr Joyner is the Chairman of Kidsafe WA and sits on the board of the Perth Symphony Orchestra. Mr Joyner has a Bachelor of Commerce Degree from the University of Western Australia. Mr Hewett commenced as the Company Secretary of the Company in June 2017 and is the Group Company Secretary to Euroz Limited and its subsidiaries. He is also Company Secretary of Ozgrowth Limited. 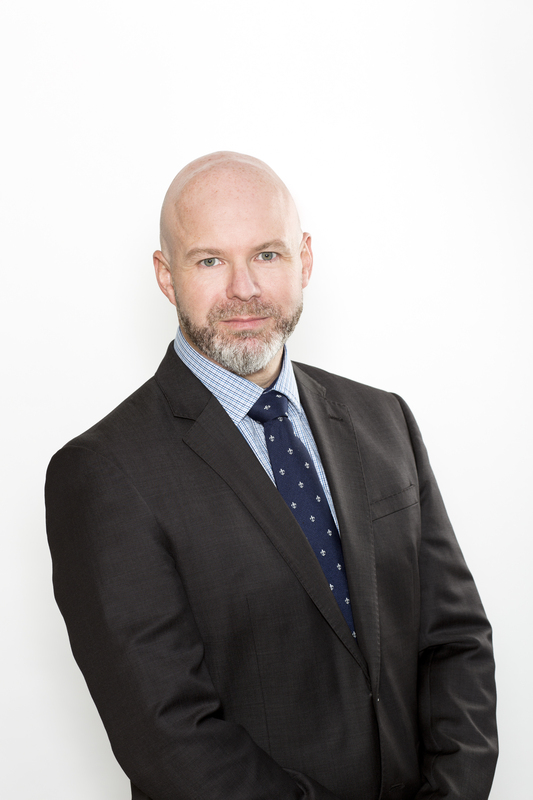 Mr Hewett is a Chartered Secretary and holds a Master of Business Law (MBusLaw) from Curtin University, and a Graduate Diploma in Applied Corporate Governance (GradDipACG) from the Governance Institute of Australia. In addition, Mr Hewett also holds qualifications in Financial Services, Leadership, and Training. Mr Hewett is a Fellow of the Institute of Chartered Secretaries and Administrators (FCSA), a Fellow of the Governance Institute of Australia (FGIA) and a Master Stockbroking, Stockbrokers and Financial Advisers Association of Australia (MSAFAA). Westoz’s investment philosophy is based on the premise that financial markets and individual securities can and do deviate away from fair value. By detailed analysis of a range of valuation parameters, active management of a portfolio of equities can be used to generate an acceptable level of absolute return over a range of time frames. Due to the relative levels of research coverage by the market, Westoz also believes that companies outside of the Top 100 will experience greater deviation from fair value. A medium to long-term investment horizon is required and large non-investment driven cash flows can adversely impact long term performance. Hence, a listed investment company structure is the most appropriate form of the investment vehicle. Westoz has appointed the Manager to undertake the management of its investment portfolio in a manner consistent with its Investment Philosophy. Westoz will mainly invest in listed securities. From time to time, a portion of the Portfolio may be held in short term cash deposits. Due to the geographic location of the Manager, it is anticipated that the majority of investments will have a connection to Western Australia. Derivatives may be used where considered appropriate. The Manager will use a variety of sources to generate investment ideas. A range of parameters are used to assess value, but a key input to the analysis is the expected growth potential of the company. After completing the necessary analysis, a set of stock recommendations will be presented to the Manager’s Investment Committee. The Investment Committee will review the recommendations and put them in the context of the overall equity environment. It will then review the Company’s current Portfolio in light of the information presented to it and adjust holdings in the Portfolio to ensure the targeted performance is achieved. The Investment Committee can also use a variety of instruments to achieve its performance objectives. Where they are allowed, short positions may be held where a compelling reason exists. Derivatives may also be used to generate additional income in the Portfolio or to protect the Portfolio from market downturns. The manager is paid a base fee of 1% per annum of funds managed. In addition, a performance fee is payable where the increase in the portfolio value exceeds 10% over a twelve month period to end of June and is calculated at 20% of the increase exceeding the threshold. The starting point for the calculation of the threshold is the greater of the starting portfolio value and the number of shares on issue multiplied by $1.00. Any other investment, or investment of a particular kind, approved by the Board in writing. No one stock will represent more than 20% of the total Portfolio Value at the time of acquisition. No investment will represent more than a 20% stake in the issued securities of a company. It is anticipated that the Portfolio will consist of between 10 and 25 stocks, although more or less may be held depending on the number of securities identified that are expected to meet the performance expectations. Where suitable stocks can not be identified, the portfolio may invest in cash. Whilst unlikely over the medium term, the Portfolio may consist from time to time of significant cash deposits. 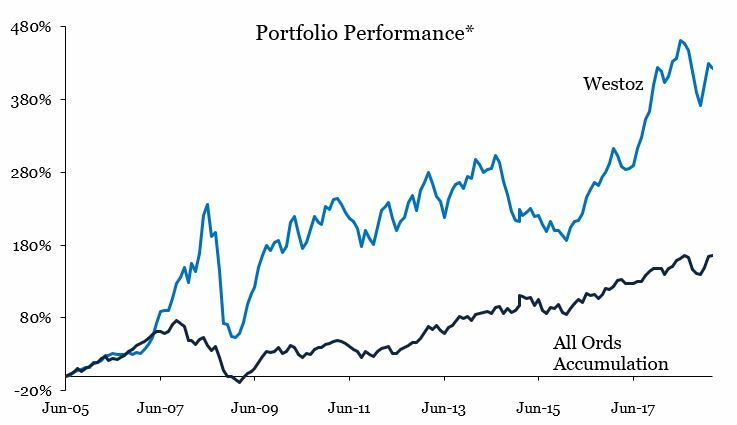 Any short positions will not represent more than 20% of the total Portfolio Value. Leverage may be employed in the Portfolio, but total exposure will not exceed 120% of the Portfolio Value. Any breach of these risk control measures will be reported to the Company by the Manager and the Company will determine the appropriate action to remedy the breach. The Board of the Company has in place a Corporate Governance Plan. The Company uses the ASX Corporate Governance Principles of Good Corporate Governance and Best Practice Recommendations (Best Practice Recommendations) as a non-binding guide when determining its policy. The Company will report any deviations from these best Practice Recommendations in its Corporate Governance Statement and the Appendix 4G released to the ASX. More detail on the manager is available here.